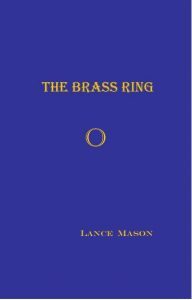 A move away from the formulary cops-and-robbers, kill-and-chase crime novel, The Brass Ring tells the story of a young widower and injured adventurer who unknowingly infringes on the lucrative but dangerous deals of a high-flying, Napa-to-Los-Angeles wine baron and drug-smuggler. Salamanca, Spain, September: Alex Corlett steps out of the shadows of the Plaza Mayor, realizing he is also stepping out of the shadows of his past. After four years escaping his grief, he’s on the last leg to his home in California, and believes he’s found a path to emotional peace. What he doesn’t see coming is the rebirth of a long-past affair, and the dangers waiting at the hands of David Gilbért. Wojtek Kudelka is a Polish seaman, captain of the Czaszki, and a whore-mongering master of small criminal enterprises. He and his rust-bucket of a freighter are soon due in California, to deliver a suspicious cargo to Gilbért, a wine baron and import-export mogul. But Gilbért is as crooked as one of his corkscrews, and Kudelka smells it — Takes one to know one. Yet Kudelka has a plan—to force Gilbért into a partnership that will eliminate Kudelka’s biggest threat, the Czaszki’s first mate. Soon we meet Gilbért in his luxurious Palos Verdes, CA office. His cargo agent has cleared the smuggled contraband off the Czaszki, just arrived from the Caribbean to the Port of Los Angeles. This puts Gilbért’s crucial plans in motion, an enterprise that will lead to love affairs, sexual affairs, extortion, and murder. Origins: I am the founder of http://windrunwine.com/. My first, much-earlier venture in the wine industry led me to the bones of this story, confirmed over the intervening years by related historical events and consequent prosecutions.